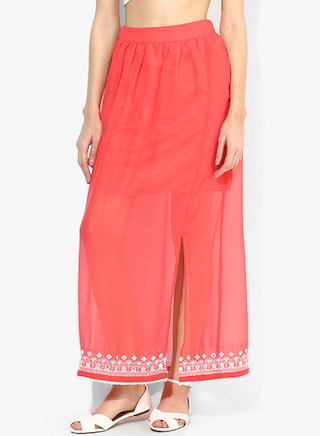 The Prettiest Indian Skirts You Can Wear Even To College! The sun is shining and the flowers are blooming.It’s about time we bring all our colourful clothes out and make the place even more vibrant! With the temperature rising, we really don’t mind skipping the jeans and leggings and wearing something cool and breezy for a change. We bring to you 10 pretty skirts that are almost perfect for summer and for college. The fun quotient is high and oh they are so desi you’ll fall in love with them! 1. The Coral Mirrored Beauty! The hemline has pretty white details including some mirror work. The inner lining is just right to show off a little bit of skin too! 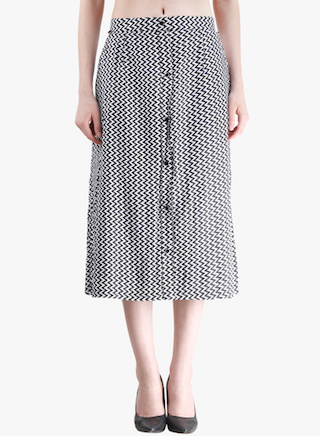 This skirt will look best when teamed with a cotton white top or a lightly printed shirt. Price: Rs 650. Buy it here. This one has lovely paisley motifs drowned in crimson hues and little sparkles of moss green colour all around it. Pair this with a plain black tee and some ethnic jewellery for that great fusion look! Price: Rs 1,116. Buy it here. 3. ‘Cos I’m A Gypsy! 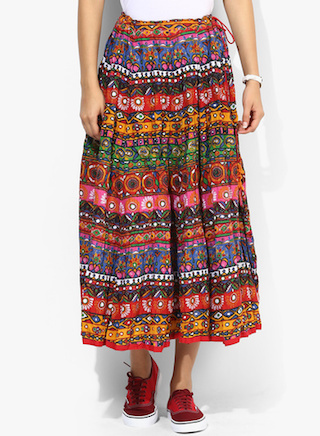 If you love the hippie trend, this skirt will definitely warm your heart. Pair it with a white tee and accessorize with tonnes of bangles and necklaces. Don’t forget to match it with quirky sandals or even sneakers. Price: Rs 899. Buy it here. 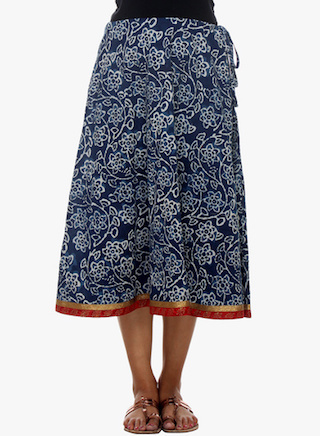 A traditional Indigo skirt needs to make it to your wardrobe this season if it hasn’t already. Looks amazing when teamed with red, lime or even an orange jersey top! Wear it with a scarf and some fun kolhapuris for the perfect A! Price: Rs 1,279. Buy it here. The eccentric print, the crazy cut, the shockingly pretty colours - everything about this skirt makes us want to grab it! It’ll look so good when teamed with a crop top or even a denim shirt. Want to walk into college and be the centre of everyone’s attention? This is your pick! Price: Rs 699. Buy it here. 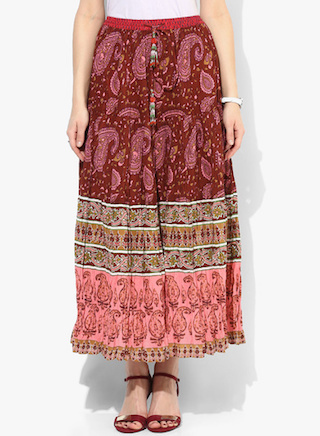 This gorgeous printed skirt is really a charmer. 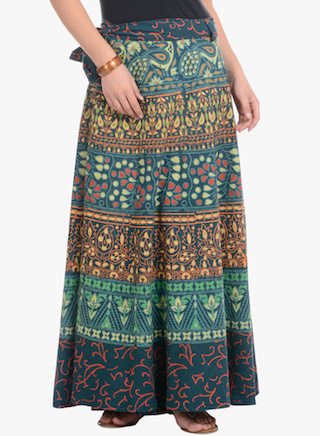 The intricate details in the delightful hues make us dream about the next vacation we’re going to go on! Why not feel like that when you go to college? Price: Rs 649. Buy it here. Match this pretty chevron-printed midi skirt with any solid colored or monochrome shade- there is a lot you can do with this dainty piece and we’d love to see you experiment! Have fun and be a trendsetter in college! Price: Rs 988. Buy it here. 8. The Tie & Dye Gem! Tie & Dye skirts are totally made FTW. They always looks pretty no matter that hue they come in. 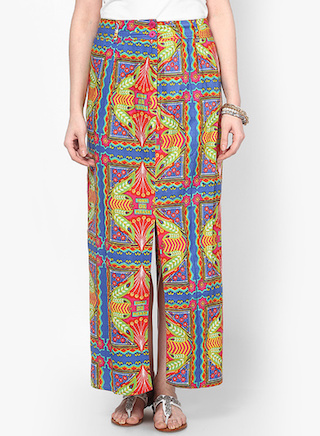 Pair this one with a tasseled short jacket and carry a funky bag with it. Finish it with some danglers and juttis. Price: Rs 1,300. Buy it here. MUST-READ: Top Tips For Styling A Maxi Skirt For *Your* Figure! MUST-READ: 10 Fashionable Items EVERY College Girl Should Have!